How do I disable comments? Every teamthing.com website comes equipped with the ability to allow your users to comment on stories and events using Facebook and Twitter. Open the event or news article that you wish to turn comments off for. Make sure the ‘Discussion’ options are shown on screen i.e. click the ‘Screen Options’ drop down at the top of the screen and check the ‘Discussion’ checkbox. 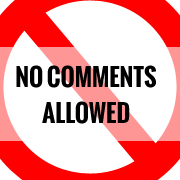 You should now be able to uncheck the ‘Allow Comments’ checkbox in the discussions area.